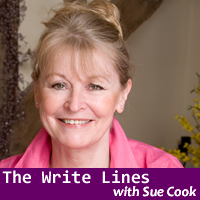 One of the UK’s most experienced and well known broadcasters, Sue Cook, brought her radio programme The Write Lines online for some exclusive shows to tie in with National Short Story Week in 2011 and 2012. You can listen to both series here on The Story Player. This series focuses on building a career as a writer, marketing your book, and self-publishing on Amazon. Programme 1: Tips for self-publishing ebooks for Amazon and Kindle. Sue is joined in the studio by Mark Edwards (Catch your Death, Killing Cupid), Roz Morris (My Memories of a Future Life) and Mel Sherratt (Taunting the Dead, Somewhere to Hide) about self-publishing ebooks on Amazon. The guests share their experiences, with advice about how to get to the top of the Kindle chart, and perhaps even get a traditional book deal. Programme 2: Tips on how to build a career and profile as a writer. Sue is joined in the studio by Julie Cohen (novelist, tutor), Sue Moorcroft (novelist, short story writer, tutor) and Nicola Morgan (fiction for children/YA and non-fiction for adults, tutor). The guests share their experiences, with advice about ways to get into writing, making money from writing, recycling your writing, using Twitter for research, holding a book launch, getting book reviews and author networking. Programme 3: How to market your book. Sue is joined in the studio by Alison Baverstock (author, publishing expert and university tutor), Catherine Ryan Howard (successful self-published author) and Jane Wenham-Jones (fiction and non-fiction writer, journalist and speaker). The panel discuss ways to market your book, whether you are self-published or have a traditional book deal. Topics covered include writing marketing copy, identifying a market for your book, building a readership, avoiding the hard sell, how publishers promote books, cheap and free books and using social media. Sue interviews a host of writers about the short story form, their favourite short stories and their own short story collections. They also share of wealth of tips and advice about writing for profit and pleasure. Programme 1: British Short Stories. Sue is joined in the studio by Emily Bullock (Winner, Bristol Short Story Prize 2011), Stuart Evers (Ten Stories About Smoking), Linda Leatherbarrow (award winning writer, regular contributor to Slightly Foxed) and Jonathan Pinnock (Dot Dash, Winner, Scott Prize 2011) with further contributions via Skype from Nicholas Royle (editor, The Best British Short Stories 2012) and Helen Oyeyemi (Mr Fox). Programme 2: Women’s Fiction. Sue is joined in the studio by Rowan Coleman (Dearest Rose), Sophie King (The School Run) and Sue Moorcroft (Love and Freedom). The guests discuss the definition of women’s fiction and what makes good women’s fiction. They give a wealth of valuable tips for those wanting to break into the genre, including how to crack the women’s interest magazine short story market, what makes a good heroine and how to choose your characters’ names. Programme 3: Children’s Fiction. Sue is joined in the studio by Joe Craig (Jimmy Coates series), Tamsyn Murray (My So-Called Phantom Lovelife) and Chris Priestley (Mister Creecher) with a further contribution via Skype from Jon Mayhew (The Demon Collector). The guests discuss what children like reading, what makes a good protagonist in children’s fiction and how children’s authors today use social media to connect with their readers. The guests also give their tips on writing a good short story.